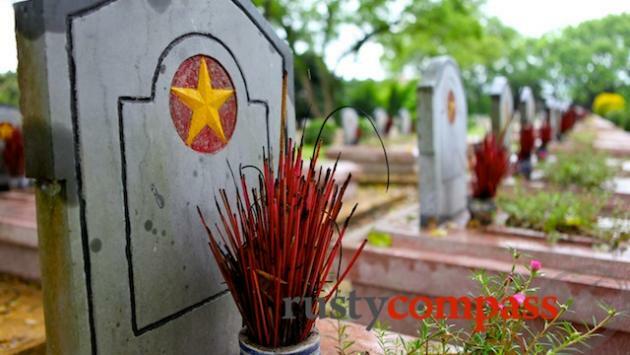 An independent travel guide to Dien Bien Phu with candid reviews and recommendations. No sponsored content, no advertorial. 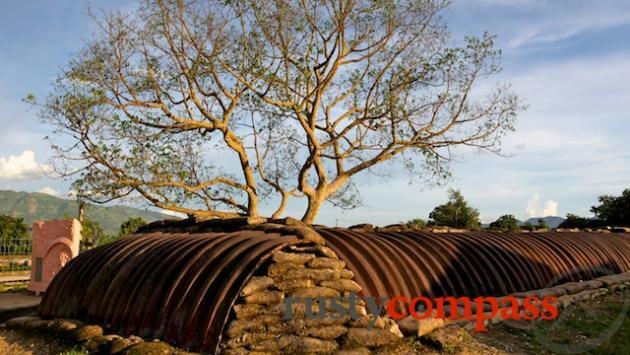 Ethnic minority stilt house nearby General Vo Nguyen Giap's command post at Dien Bien Phu. Pa Khoang Lake not far from General Vo Nguyen Giap's wartime bunker. 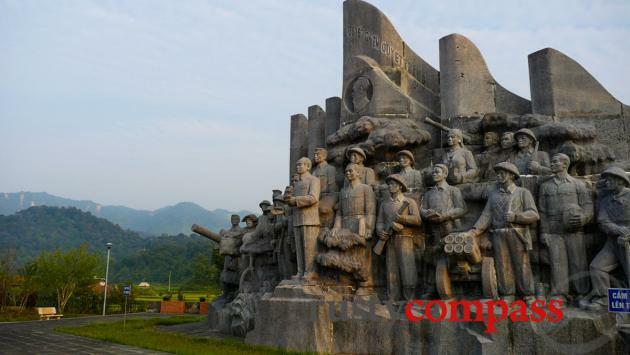 Recent monument to General Giap's troops at Muong Phang. 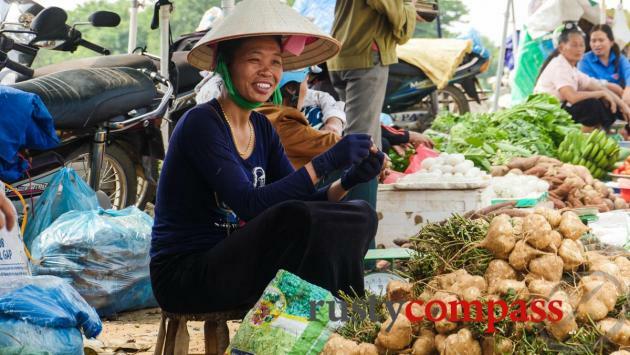 Ethnic Thai woman in the market at Dien Bien Phu. Dien Bien Phu may be one of Vietnam's best kept travel secrets - especially for those with an interest in history. There's more than history too. The surrounding countryside is beautiful and inhabited by diverse ethnic minorities. 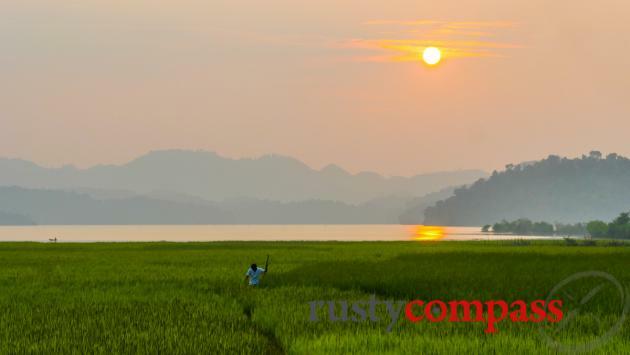 It's also an excellent base for travel into less-visited northern Laos. In 1954, Ho Chi Minh's forces defeated the French in the Battle of Dien Bien Phu. It was an horrendous struggle on all sides. When it was over, so too was almost a century of French colonial rule. The French loss sent shockwaves through the developed world. This was the first defeat of a colonial military force in conventional battle, and set the stage for increased US involvement in Vietnam. The US footed most of the bill for the French military campaign, and just over a decade later in 1965, US ground forces landed in Danang to fight another disastrous war. 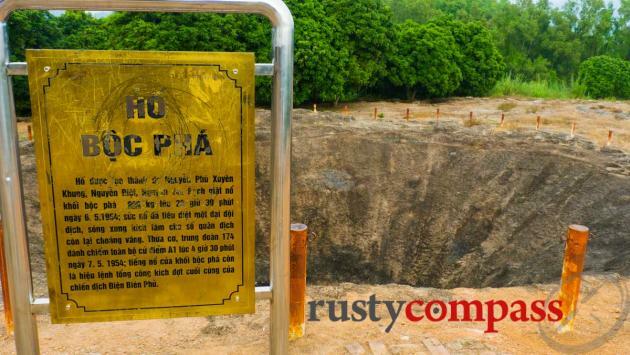 Few historical sights of global significance are as remote as Dien Bien Phu. 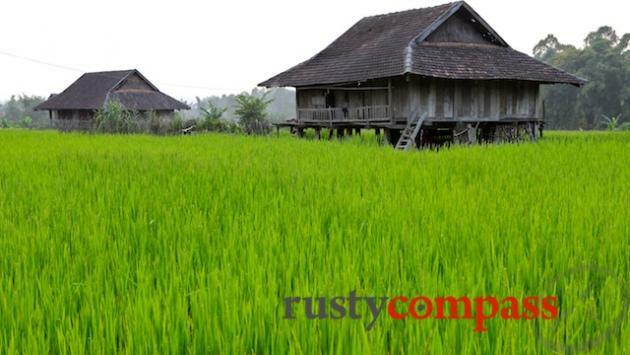 It's 470km north west of Hanoi and just a few kilometres east of the Lao border. Up until the early 2000s, travel to this isolated outpost involved long bone-jarring days on pot-holed roads. Vietnam Airlines now operates daily flights from Hanoi to the French built airstrip that was instrumental in the battle. Travellers have been slow to take up the opportunity though and Dien Bien Phu is one of the most interesting and least visited destinations in Vietnam. Those with an interest in the battle will find a remarkably well preserved historical sight with a good many of the major locations easily visited and in good condition. 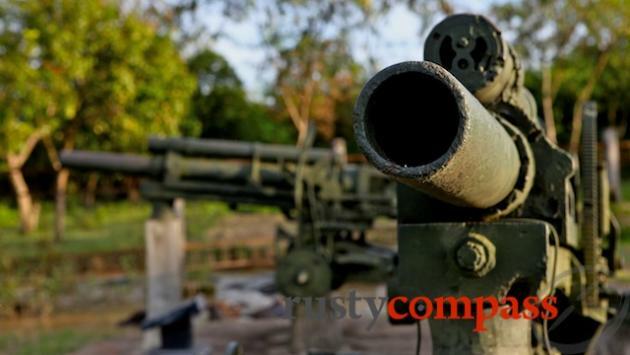 Outside of town at Muong Phang, the bunker from which celebrated Vietnamese general, Vo Nguyen Giap, directed his forces, is also worth visiting. And there's much more than war history here too. 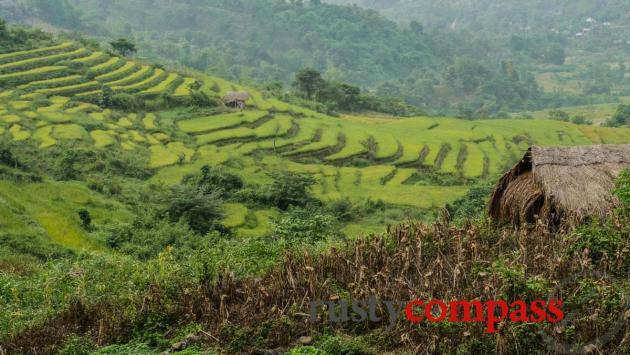 The valley at Dien Bien Phu is spectacularly beautiful and the surrounding mountains are dotted with friendly Thai and Kamu minority villages. Making the trip to Dien Bien Phu by plane is surprisingly straightforward and can be a great way to spend 3 days in Vietnam's remote north. 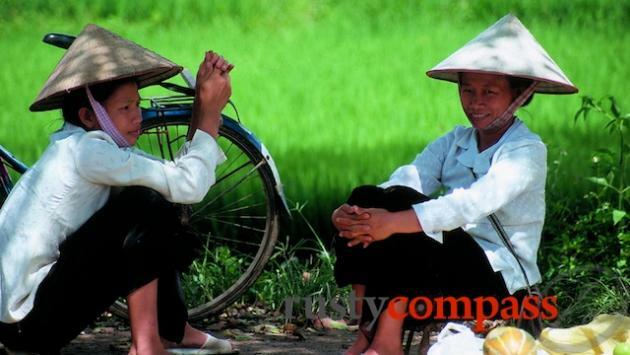 Most travellers arrive by road on a loop itinerary that starts in Hanoi, then travels to Mai Chau, Son La, Dien Bien Phu, Pa So and Sapa, before returning to Hanoi. New roads make the loop to Sapa straightforward too. Check out our videos above for more options. If you want to explore the battle history in all it miserable depth, check out Bernard Fall's indispensable history - Hell in a very small place - The Siege of Dien Bien Phu.